Google has some things going on that might shape up the company to deal with new competitors like Facebook and Groupon. Google’s present CEO Eric Schmidt is moving to an Executive Chairman position while Google’s cofounder Larry Page will be the new CEO of the company. Sergey Brin will continue his work on strategic projects and creating new products for Google. The announcement was made as part of Google’s quarterly earnings report for the fourth fiscal quarter of 2010. Google reported revenues of $8.44 billion during the quarter which si an increase of 26 percent from the same quarter in 2009. Page is set to take over day-to-day role of CEO starting April 4. 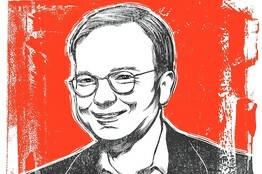 Eric Schmidt will be focussing on deals, partnerships and broader business relationships. This is good news for many considering the brain child of Google will now actually be running Google. Hopefully this billion dollar profit making company will not let go a thousand employees blaming the recession!